View More In Scents & Scent Eliminators. Have you every wanted a bushel of apples but didn't want to carry a whole bag? Now you can!!!!!! 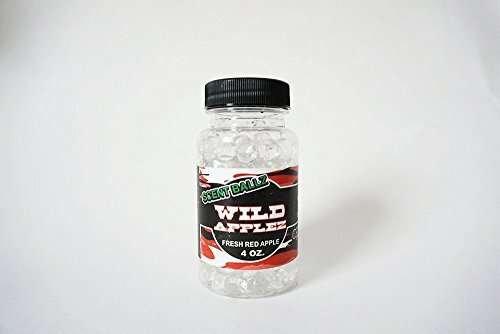 Wild Applez is great for deer and alike and this sweet smell drives them WILD. If you have any questions about this product by Scentballz Scents, contact us by completing and submitting the form below. If you are looking for a specif part number, please include it with your message. ScentBlaster is the best wicking system for hunters: increase the range & effectiveness of any hunting scent to attract more game to the kill zone!